Posted on December 15, 2016 at 2:26 pm. Would you, your child, your friends or family want a postcard from the South Pole? Sign up here (bit.ly/SouthPolePostcards) and Ms. Miller will send you one! 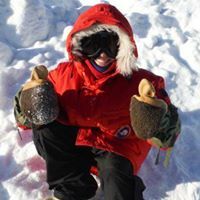 Follow along with Ms. Miller’s expedition to the South Pole at bit.ly/MillerSouthPole (“subscribe” to get email updates when a new journal is posted) or on Facebook by ‘liking’ Facebook.com/MillerSouthPole. Miller leaves this week for the South Pole where she will join the PolarTrek expedition.